CSI produces electric resistance welded pipe (ERW) known throughout the industry for its high quality and consistent performance in the field. As the leading supplier of ERW pipe in the Western U.S. market, our principal end-users are oil and gas transmission companies. 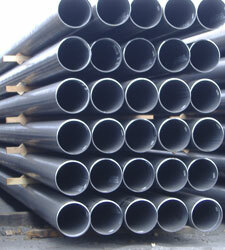 Distributors and industrial accounts also purchase CSI pipe for load bearing and low-pressure applications. Process coating is available through local coating applicators. To purchase CSI's ERW pipe products, or for more about our ERW pipe products, please contact our Sales Department. (see CSI Sales Support).